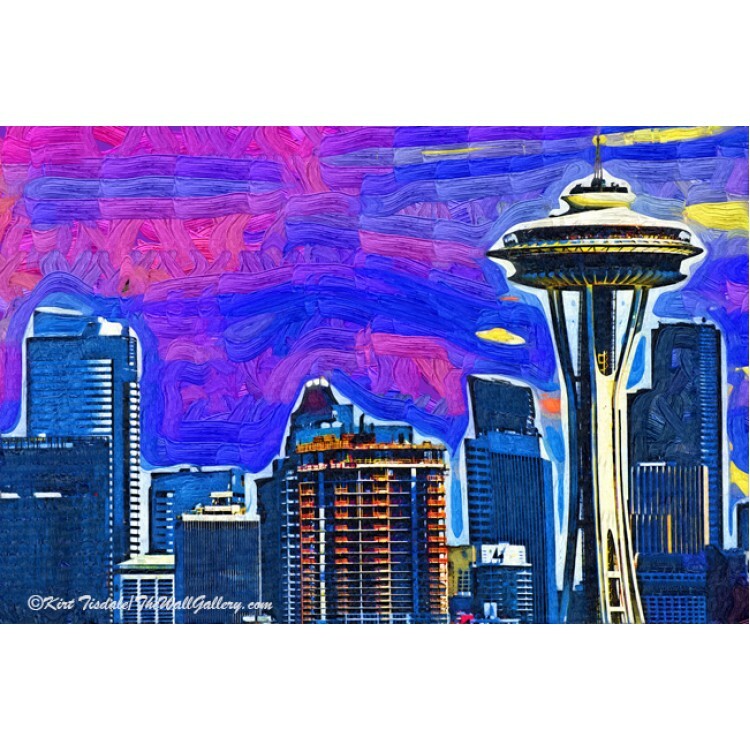 The view is from Kerry park in the Queen Anne District of Seattle. 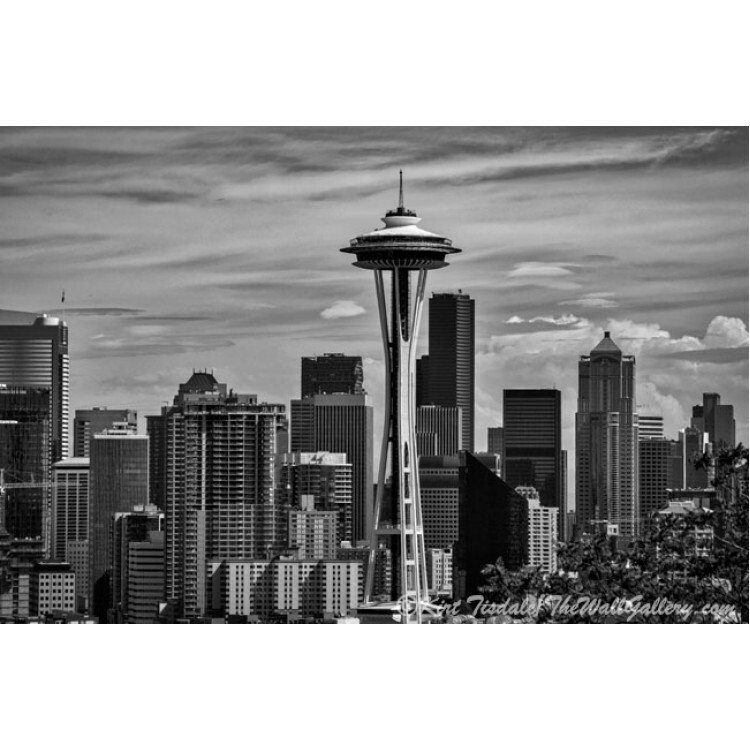 Looking south from the park gives you a spectacular view of the city core of Seattle. 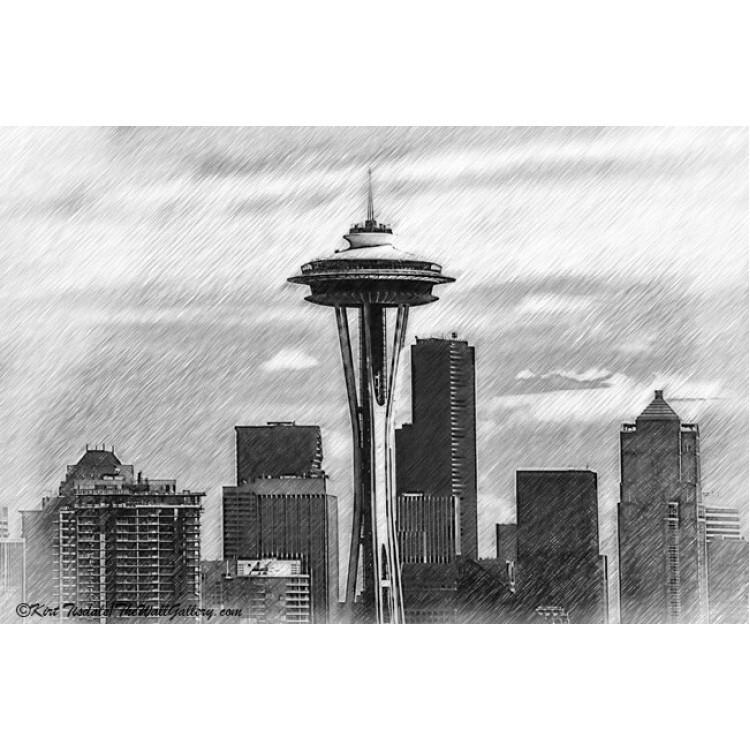 From this perspective the Space Needle is in the foreground with the downtown buildings filling in the background. 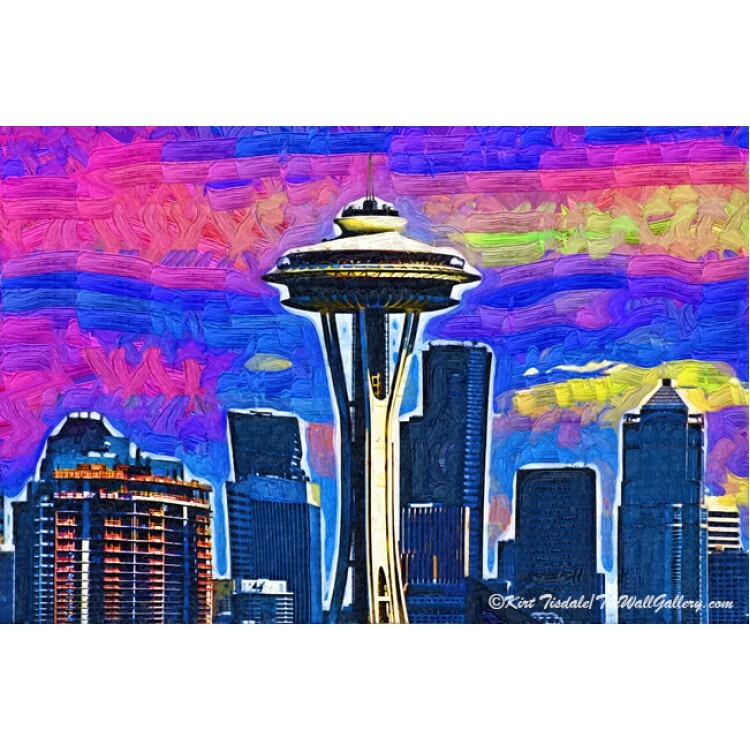 The park is situated on the rising southern slope of Queen Anne Hill and at the top of the hill you have a panoramic view sweeping all the way south to Mt Rainier and coming back north along Elliot Bay and the Puget Sound. 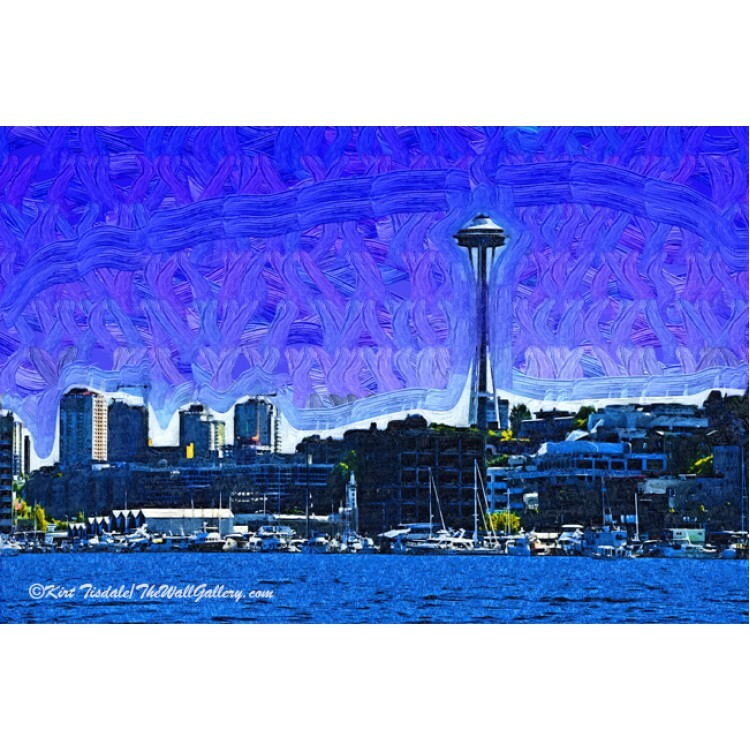 This angle is often used to put the Space Needle in the forefront of many photographs. 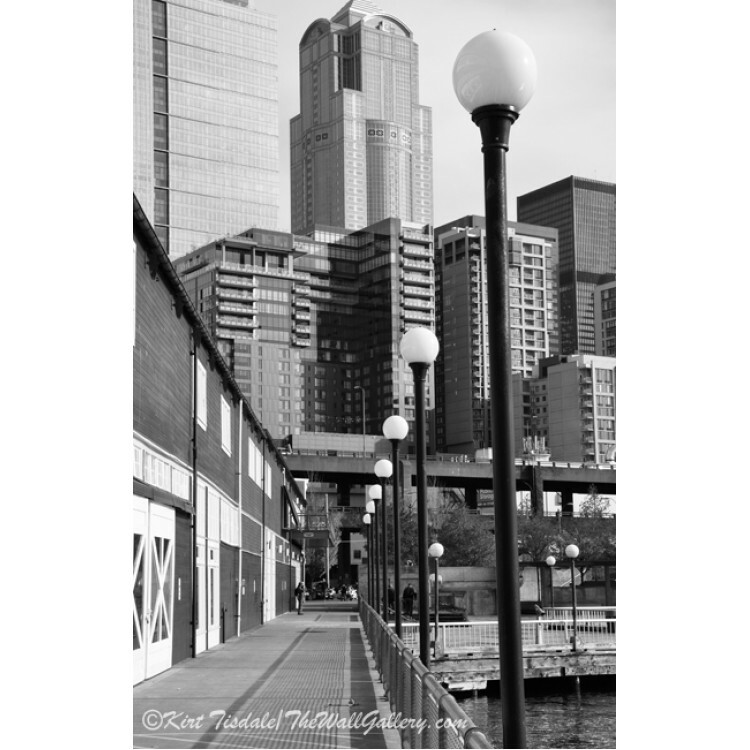 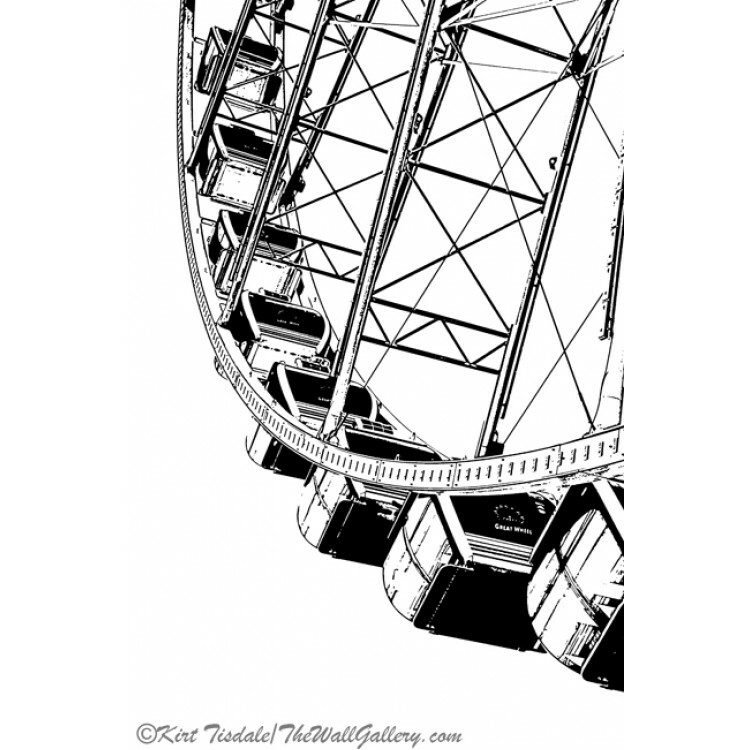 "On the Pier" is a black and white art print of the view from a pier. 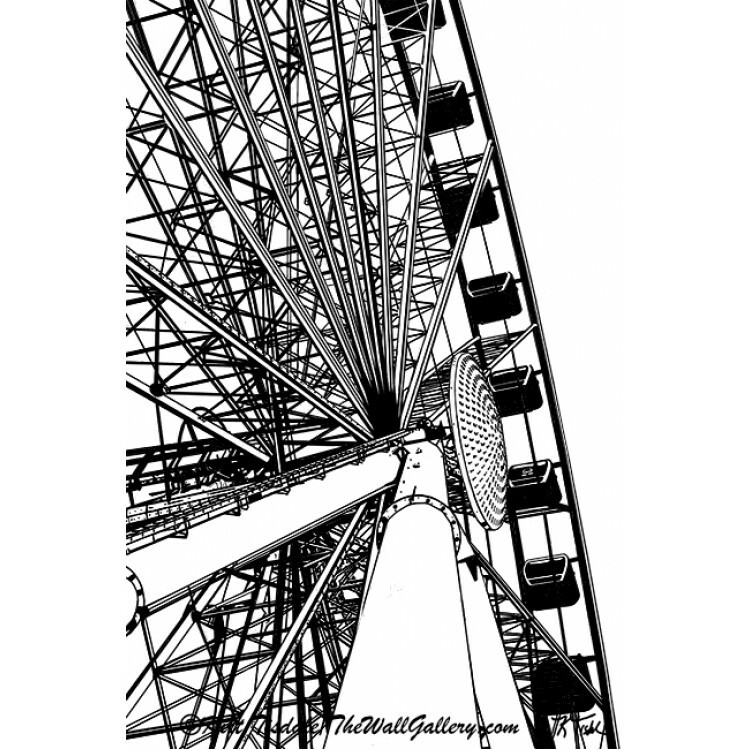 Th..
"Space Needle From Lake Union" is a wall art print done using a ..
"Going Up On The Wheel" is a black and white art print of the Seattl..
"Seattle Great Wheel" is a black and white art print of the Seattle Grea..
Seattle Skyline Sketched - is a black and white sketched art print of the Seattle Space Needle and d..
Space Needle Colorful Sky - is a wall art print created using a fauvism oil technique of Seat..
Space Needle Fauvism Style - is a wall art print created using a fauvism oil technique of Sea..